Every year, the Union Budget and Rail Budget are keenly followed as they reflect the agenda and vision of the ruling government. But, apart from important announcements, what attracts everyone to budget sessions are the speeches. 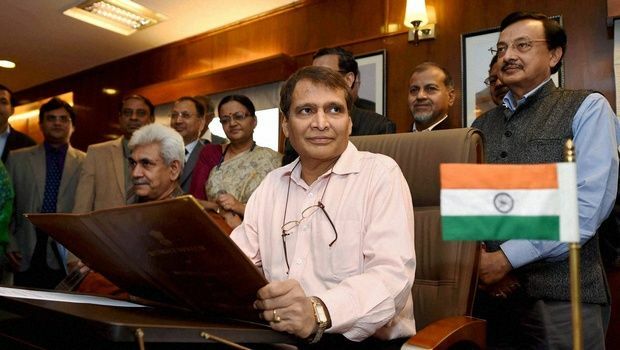 Comprising Lalu Prasad Yadav's 'interesting' use of Hindi words to Suresh Prabhu's "Hey Prabhu, ye kaise hoga! ", budget speeches are more often than not entertaining. In his very first budget presentation after the Modi government came into power in 2014, Finance Minister Arun Jaitley started his speech on philosophical lines: "Kuch to phool khilaye humne, aur kuch phool khilane hai. Mushkil yeh hai bag me ab tak, kaante kai purane hai." It is not easy to forget Lalu Prasad Yadav's tenure as the Railway Minister during the UPA regime. The RJD leader's wit is well-known. And he used plenty of this wit during the Budget Session in 2007 when he compared himself to Lord Krishna. He said, "Lord Krishna lifted Mount Govardhan on his finger. Now people are crediting me for the turnaround of the Indian railways. However, this miracle occurred due the efforts of 1.4 million railway employees." Known more his tenure as prime minister, Manmohan Singh had quoted poets in his speeches while serving as the finance minister in 1991. During the phase when India was facing a financial crunch, Singh quoted Iqbal in his speech: "Yunaan-o-Misr-o-Roma, sab mitt gaye jahaan say/Ab tak magar hai baqi, naam-o-nishan hamara. (Greece, Egypt, Rome have vanished. But our name and identity will live on)."